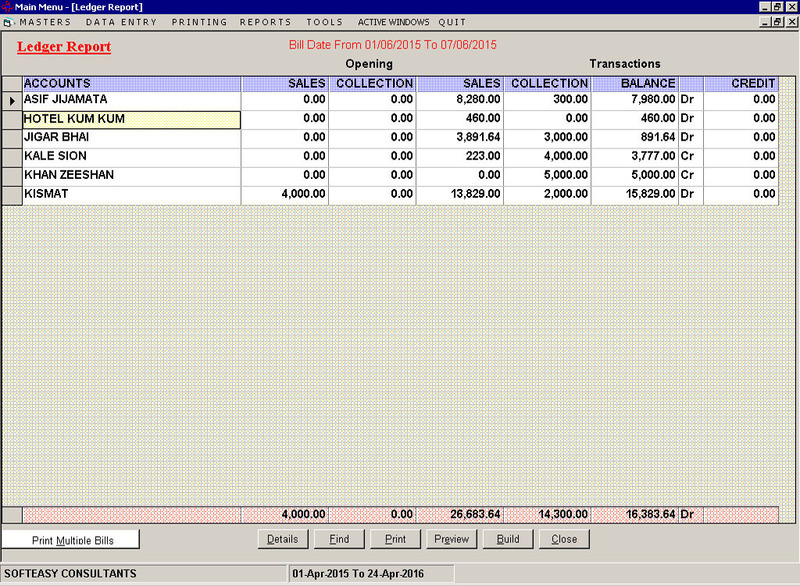 The Poultry broiler Software manages your Broiler business, checks your broilers and weight, the software counts the broilers automatically and upgrades it in to the Broiler Lorry Live stock Software. 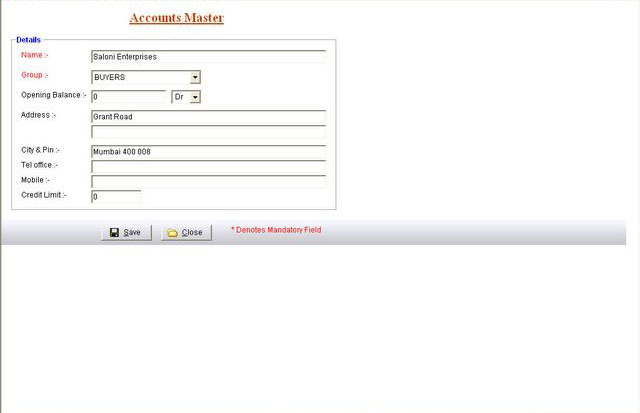 The Poultry Breeding software works for the Full Lorry Purchases of Broilers and Chickens against the downloading of Lorry.Its gets added to the stock of Broilers and against that the retails / whole sales are made.The Poultry Farming software keeps the records of individual lorry. 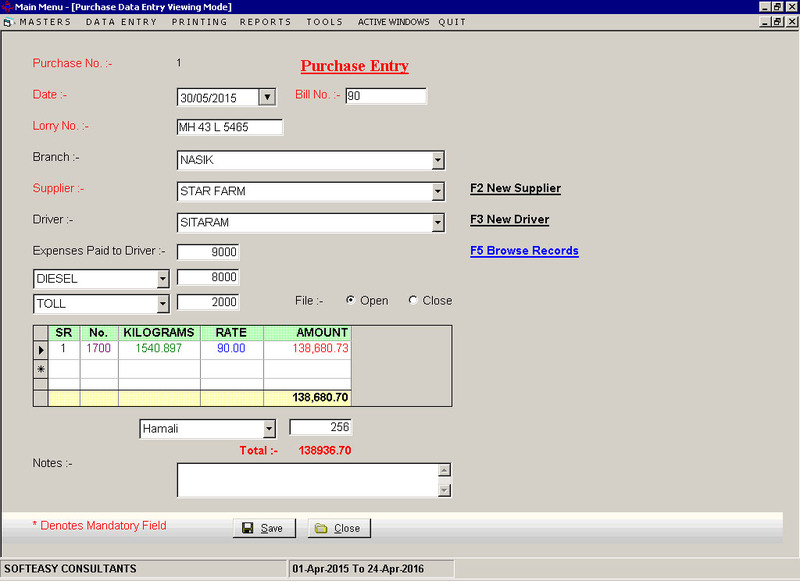 One can track the Balance of Live Stock against the lorry while entering the sales entry.It asks the lorry number, while entering the sales and simultaneously it deducts from that lorry number.One can enter stock nugs and weight while downloading from the lorry. 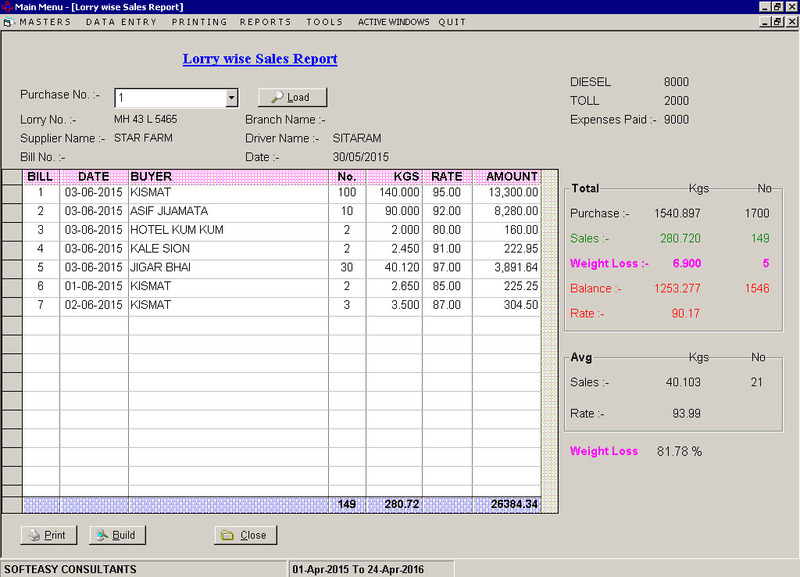 The stock report shows the particular lorry its purchases and number of the retails sales against that lorry in terms of weight and nugs. 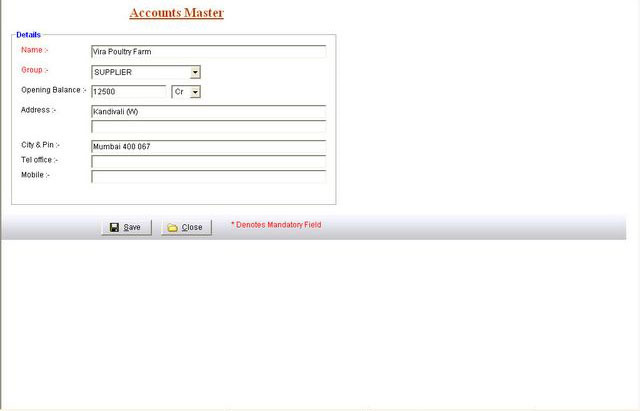 The Chicken Accounting software also shows the outstanding of both suppliers and buyers and it gives the weekly Billing. 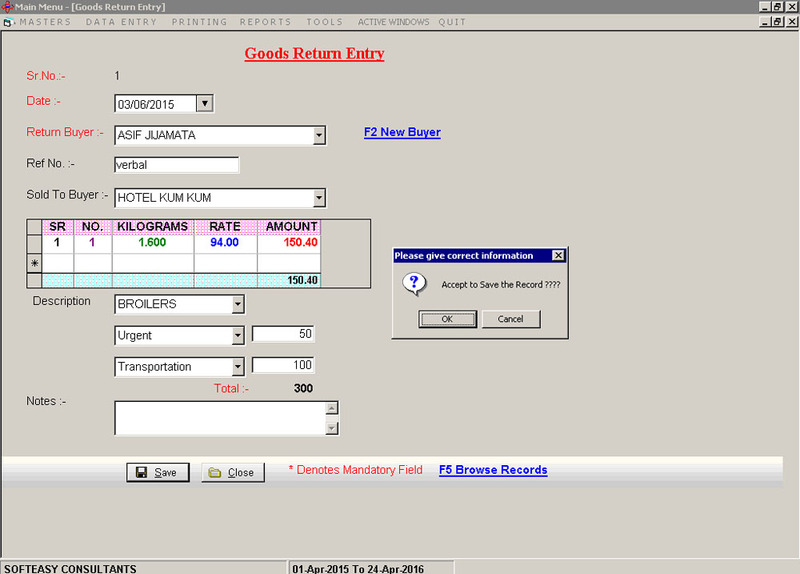 The poultry farming accounting software has collections as well as payment register to keep the track of customers and suppliers. 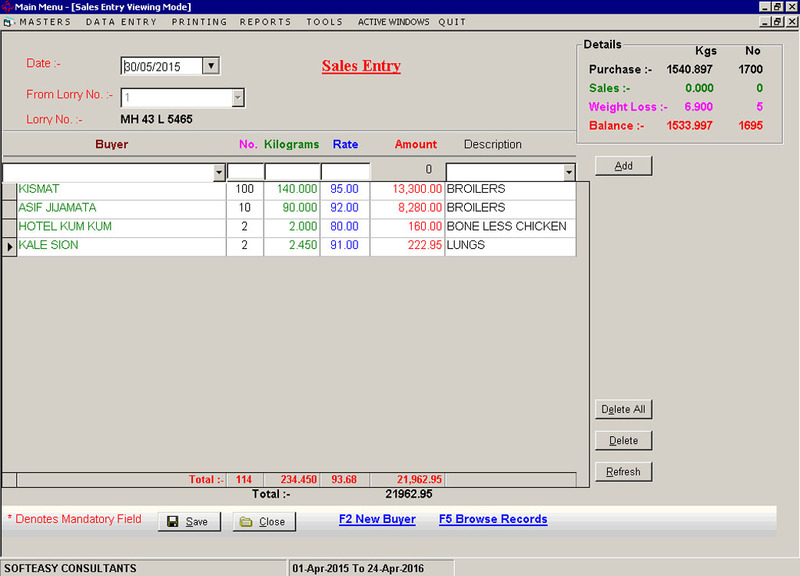 Sales is a part of purchase One Purchase Bill - 10 Sales Bill.The free Download of Chick, Nugs, Broilers accounting software is available by sending us an e mail for the trial demo. The Wight loss are of two kinds one is the dead of the chickens against the particular lorry and the other is the shrinkage of weight loss of chickens. 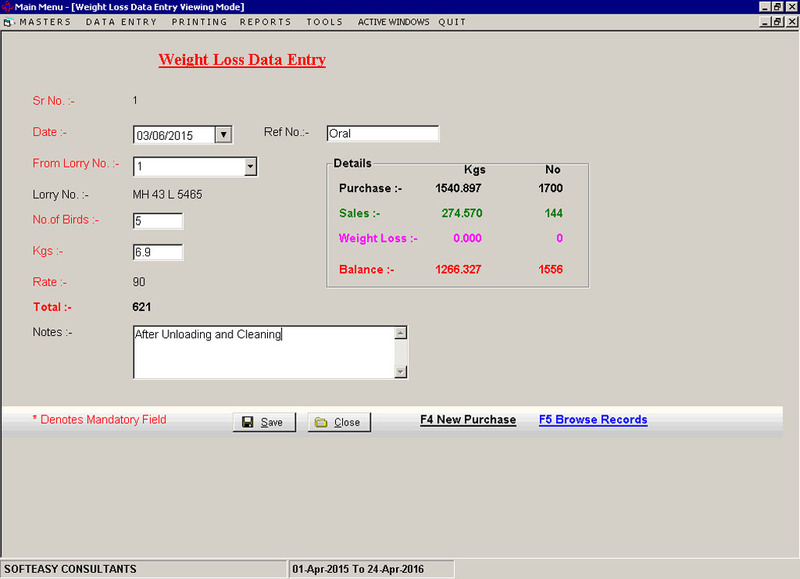 The Software automatically shows the weight loss of the chickens of that particular lorry and in addition to that one has to pass the weight loss of the dead chickens too so as to coincide with the purchase of that lorry. 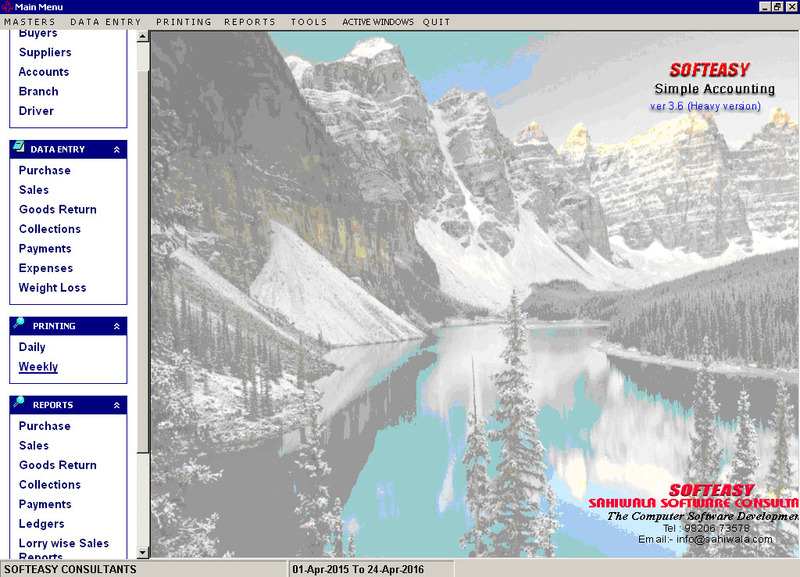 Main Menu Screen of Poultry Software. 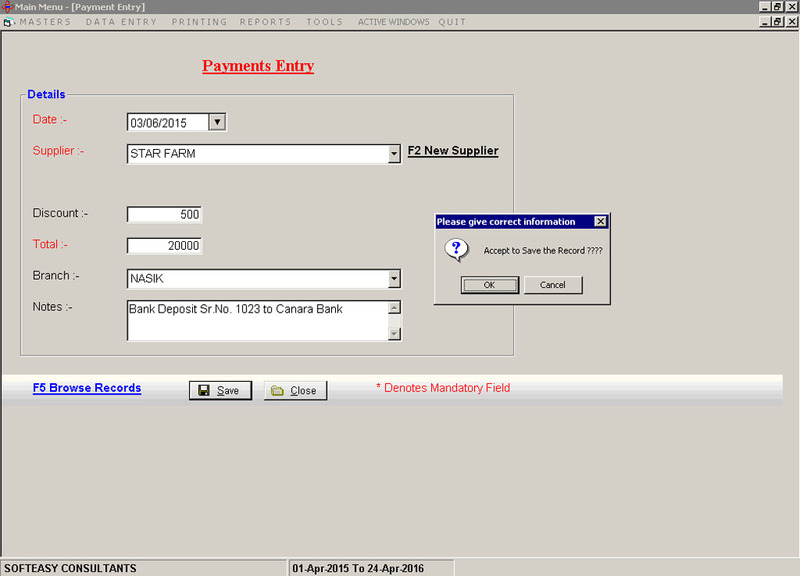 Main Menu Screen with Data entry Highlighted. 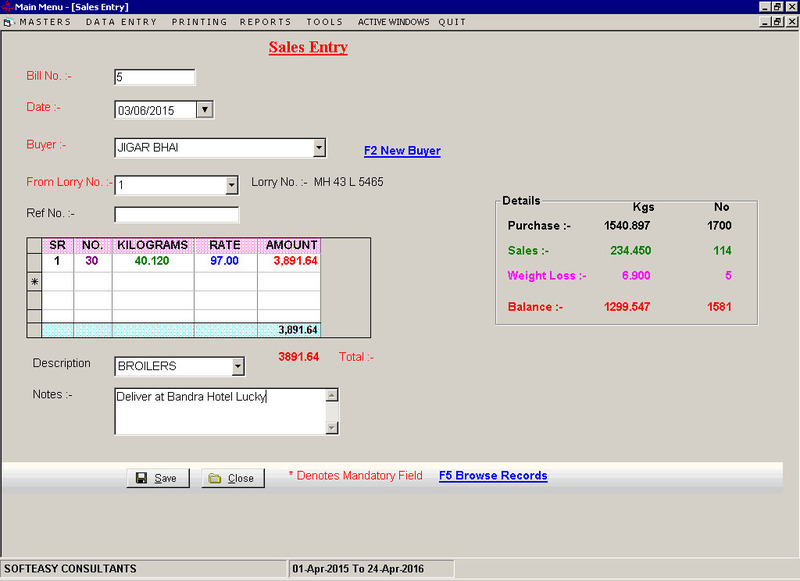 Sales Multiple Data Entry Screen. 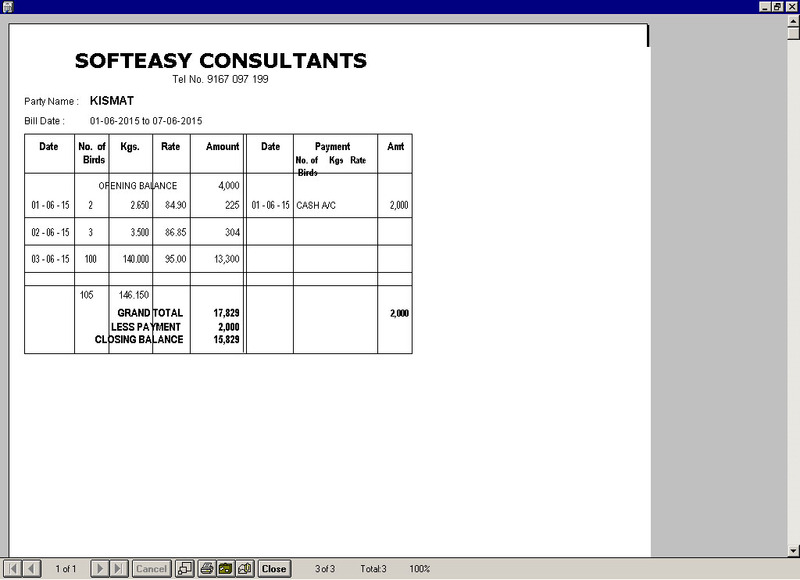 Weekly Billing Print Out Screen.